Whilst looking through the previous blogs on our website I came across this very insightful and comprehensively written piece by Michelle a colleague of the gallery. ENJOY! 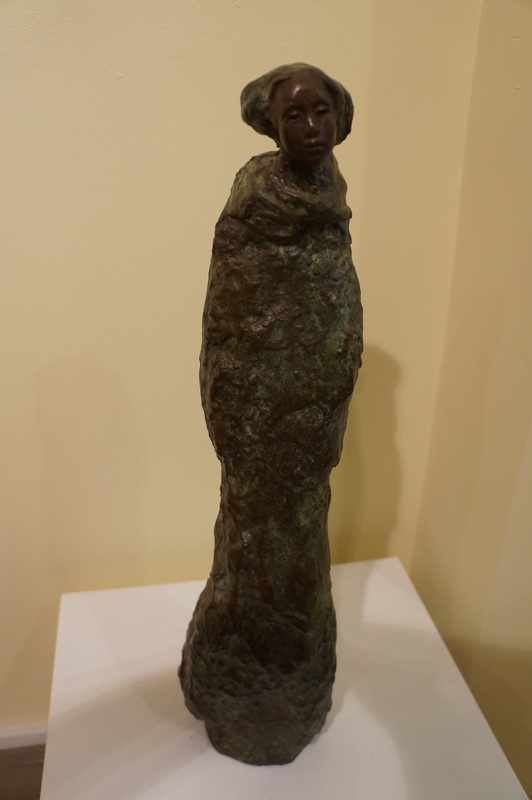 Whilst at work today admiring the gallery’s new layout I have realised how complimentary our new collection of works by Nael Hanna are to the small sculptures by Laury Dizengremel we are exhibiting at the gallery. Originally part of her sculpture series “Along The Silk Road” these minature’s – although medium sized works – were inspired by her much larger ‘monumental’ sculptures. The larger sculptures “Along The Silk Road- Trio” were created in May 2006 in China, shipped to Canterbury in Kent, and now located in the Broomhill Sculpture Park in Devon. We adore her smaller series here at the gallery, she give a great sense of story and background to each character. 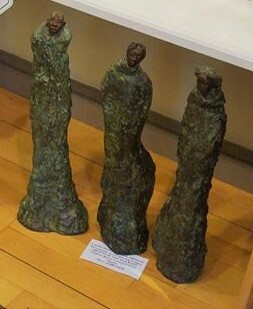 As it is the nature of bronze to take on the presence of the environments in which it is kept down to the smallest touch, it is very apt that the figures appearance itself can alter as its own story continues. 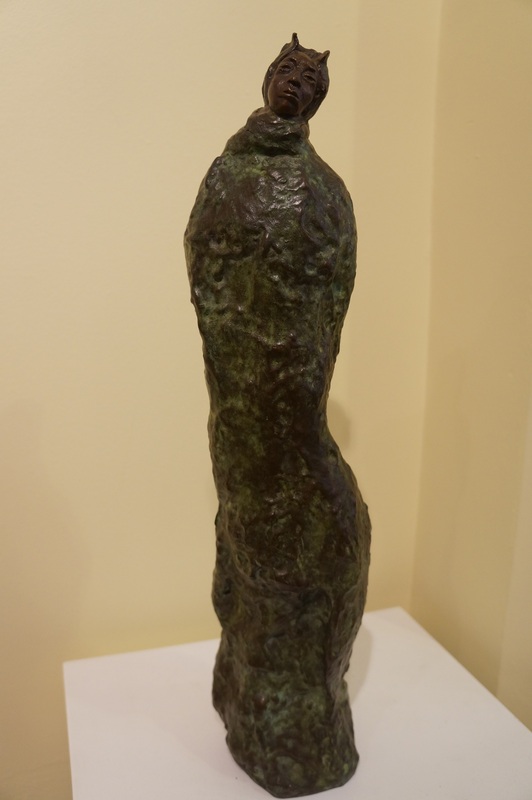 The bronzes have been exquisitely worked with many layering techniques, so they are technically and emotionally brilliant! Dizengremel began the Silk Road project during her Masters of Fine Art International Practice degree course completed in Sept. 2006 at the University College of the Arts at Canterbury in Kent. Her MFA journeys took her to several ancient sites over a two year period; however it is ultimately both north and south routes of China’s ancient Silk Road, from Xi’An to fabled Kashgar at the foot of the Himalayas across both Gobi and Taklamakan deserts, through Sichuan’s grottoes and Yunnan’s mountains to inner Tibet, which became the focus of her final work. The ‘Artists of the Silk Road Series’ was more than just a fanciful tribute to the nameless artists who created art treasures found in remote grottoes and temples under the harshest of conditions. It is also a social comment on the continuing role of artists in shaping world culture, from the early days of pre-history to our modern day. The imaginary artists – each and everyone one of them, are unique individuals. They are men and women, young and old. They are visionaries, communicators – exchangers of ideas, agents and promoters of understanding between cultures, individual interpreters and shapers of the spiritual, emotional, artistic and ethical values of our world. They are geniuses and they are human. Whether lead artists or simply skilled crafts folk, she sought in them to embody all those whose spirit, mind and hand create wonders. Laury is 56 years old (born in Paris in 1954) – and sees herself first as a sculptor and second as a jack of all trades: former dancer, former translator, designer and sculpture teacher, but also mother, dog lover, poet, occasional photographer, songwriter, web designer, co-organizer of an international annual Festival, and concerned “world citizen” working on a number of community art projects, for example as a member of Artists for Human Rights, “20 Celebrity Heads” to raise funds for The World Literacy Crusade, and the Arte Para Todos project organised by the United Nations of Honduras. A bit of a puzzle to some perhaps (accent-wise) in that Laury grew up as a world citizen (first few months in France, then 6 years in the US, then back to France for 11 years, then back in the US for 8 years, then back to France for 3 years, then England for the last 22 years… with forays to Montana for a bit, and to many other places throughout). Her mother was Dutch (raised in Indonesia), her father is French (born in Japan and raised in Greece). Both of their backgrounds influenced her life and her education – academic and otherwise – tremendously. 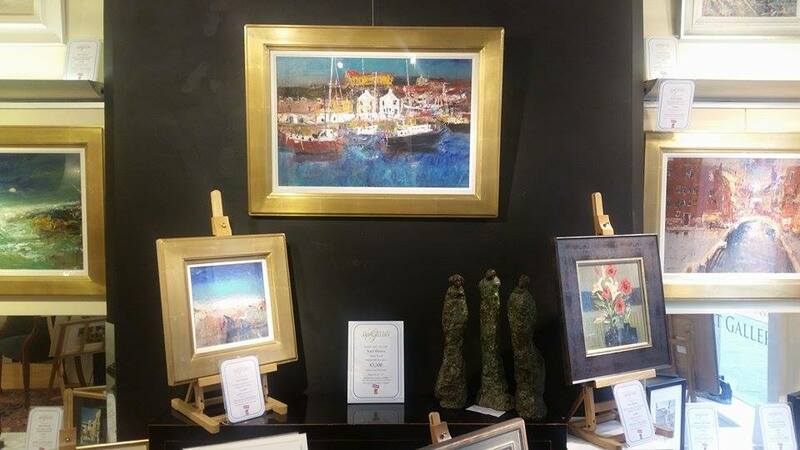 We are very lucky to have her work in the gallery’s collection, they really raise the bar! It is even quoted to be one of her favourite projects to have worked on “Every single commission for collectors / clients is thrilling, but I have to say that I am proudest of my Artists of the Silk Road sculpture series which was created the context of a Masters of Fine Art International Practice degree course.” – so its no wonder the care that has been taken to perfect each sculpture! 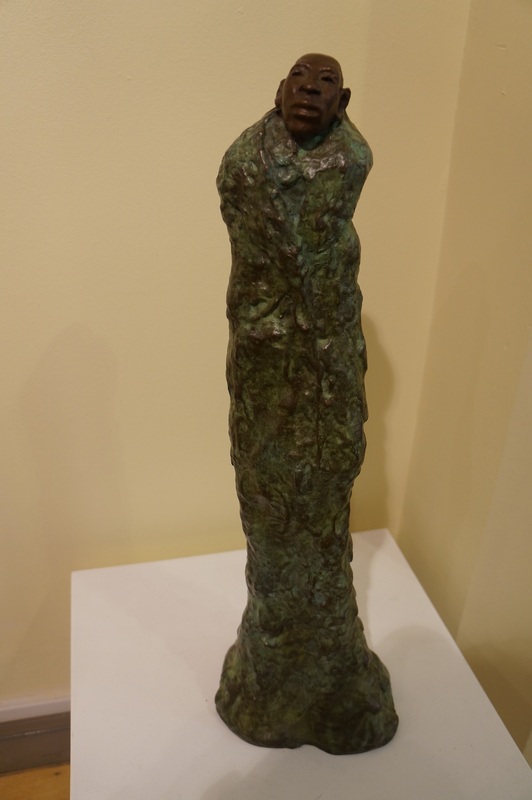 This entry was posted in Uncategorized and tagged art, China, figurative, Fletcher Gate Art Gallery, Laury Dizengremel, sculpture. Bookmark the permalink.